Satellite technology is all around us. Though unseen to the naked eye, we take advantage of it everyday. Whether we are navigating to a new lunch spot, phoning foreign contacts, or watching Bravo TV – satellites are at work. However, the power of satellite data transcends daily convenience. Advances in satellite technology allow for ecological and subsurface data collection and analysis, including water pipeline assessment. 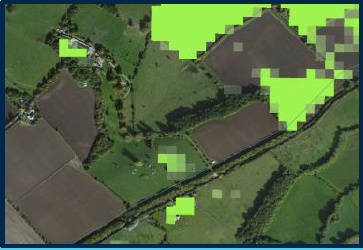 Rezatec, a UK company, has harnessed satellite geospatial information to provide meaningful data for water utilities. Among other ventures, Rezatec takes the imagery collected and utilizes predetermined algorithms to locate pipeline water leakage. In simple terms, they provide leak detection surveys via satellite. Matchpoint is pleased to announce a recent partnership with Rezatec. Now, as a distributor of Rezatec solutions, we have the ability to service our clients using satellite technology.